The EZ is the ultimate performance upgrade for the driver who wants adjustable power, added towing capacity, and improved fuel economy. Installation takes only ten minutes and requires no mechanic labor, drilling or computer downloading. Simply plug the EZ into two stock connectors and you’re ready to go. The EZ offers a quick 10 minute installation that requires no expensive mechanic labor, no drilling, and no computer downloading. 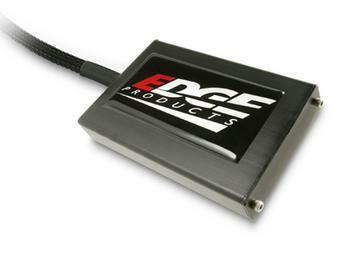 Simply plug the Edge EZ into 2 stock connections and you’re ready to go. The EZ provides real power –you can switch between 3 power levels to add up to 65 HP. The EZ safely provides power to help eliminate downshifting. The EZ is also tuned with a special fuel economy level* that improves the atomization of fuel, which in turn allows Edge to add power, while at the same time delivering between a 5-10% improvement in MPG when driving in level one. Add to that the EZ’s price point and you have the ultimate value on the performance market today. There is not another product on the market today that delivers power so safely and so economically, and at the same time is so easy to install.